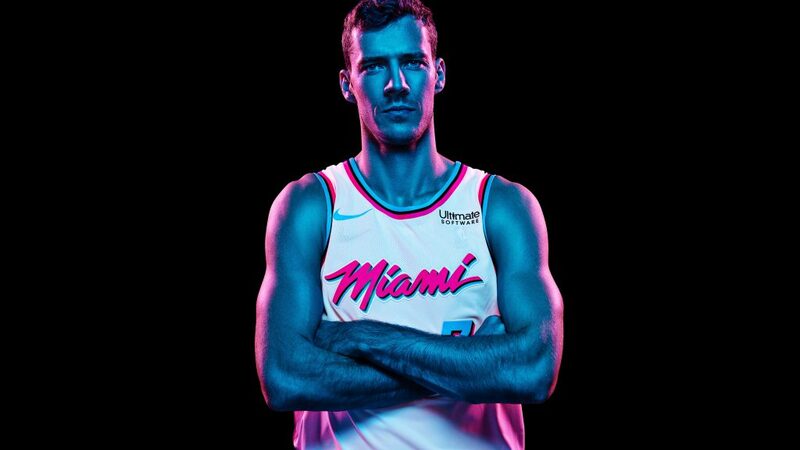 Have you seen the “Vice” collection uniforms the Miami Heat will be wearing for 15 games, including 11 at home? Moreover, the details of the AmericanAirlines Arena colored in Miami pastels? They are “finesse.” The only thing a tad bit better, an actual NBA superstar on the Heat team wearing one. 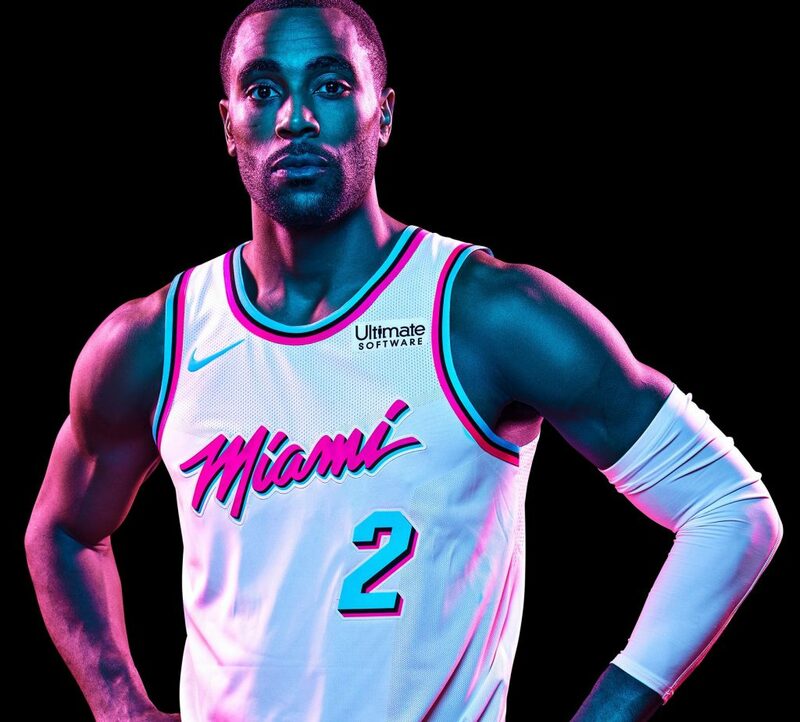 Fans have shown their love for the “Vice Uniform City Edition Jerseys,” they are a winner across the NBA and social media. The adult size jerseys are sold out online but hurry and get the toddler, kids or youth sizes that are available at the moment. Better yet, finesse like “Miami Vice” the popular television show from the 1984-1990 staring undercover detectives Sonny Crocket and Ricardo Tubbs. This version is played out live at the AmericanAirlines Arena staring an improved Miami Heat team record-wise from this time last season. A moment of clarity here. I have viewed the Miami Vice film dating the year 2006 staring Colin Farrell and Jamie Foxx Based on the 1980s TV action/drama. With this update focusing on vice detectives Crockett and Tubbs as their respective personal and professional lives become dangerously intertwined. It sucked, and I sat through all Farrell close-ups. The preview drew me in though. “I think they’re the hottest uniforms in NBA history. I love them,” Goran Dragic said. The uniforms will be worn 13 more times. The Heat has played two home games in the uniforms, and both results were not finesse. De’Aaron Fox’s rebound dunk with 3 seconds left capped a huge closing rally by the Sacramento Kings, who erased a 12-point, fourth-quarter deficit to shock the Heat 89-88. It was Sacramento’s first win at Miami since 2001, and the Kings closed it with a 17-4 run with under six minutes to play. The Heat redeemed themselves in the vice uniforms thanks to Wayne Ellington. Ellington capped his 17-point effort with a 3-pointer that was the dagger with 4 seconds left, and the Heat beat the Charlotte Hornets 95-91 ending a two-game losing streak. Charlotte scored 13 points in the fourth and missed its final five shots. “The other night it was a tough lesson, but we wanted to make amends for how we finish games defensively, Heat coach Erik Spoelstra stated. At the end of the day, you can feel our defensive intensity step up and really take pride on our home court trying to win a game on that side of the court. Ellington now has 150 made 3s this season, a career-high with 33 games remaining. Miami has had a different starting lineup in three consecutive games. There is more to the finesse. The Miami HEAT has also partnered with custom sneaker designer, Dominic Chambrone, better known as The Shoe Surgeon, to create a custom Vice Air Jordan 1 sneaker. “Pulling in design elements from the limited-edition jersey and inspiration from the iconic Vice-era, we handcrafted an exclusive, one-of-a-kind Air Jordan 1 to debut in collaboration with the Miami HEAT Vice campaign. The classic AJ1 shoe has been elevated with premium white Italian tumbled leather and intricate detail including a white quilted Japanese plonge leather lining and teal and pink Italian goat stripping – highlighting the new jersey design on the wing panel, toe panel, and the swoosh,” said Chambrone. I need pictures as soon as possible. The custom Vice Air Jordan 1 will be on display at the Court Culture Studio Store located in section 326 of the AmericanAirlines Arena. Only five pairs of the custom Vice sneaker will be created, and Miami HEAT fans will have the opportunity to win a pair throughout the remainder of the season via sweepstakes and contests. The Vice Air Jordan 1 will officially launch on February 1st. One important note, the Heat held a pregame moment of silence for longtime agent Henry Thomas, who died Saturday. Thomas represented several Heat players over the years, including Udonis Haslem, Dwyane Wade, Chris Bosh and Tim Hardaway. “I feel like I lost a dad,” said Haslem, who missed Thursday’s Heat game so he could be at Thomas’ bedside. Spoelstra said Thomas was part of the team’s extended family.